Good Spirits is the local Luceti bar, specializing in drinks only, though they offer some simple finger foods these days. The bar itself has a couple of notable hotspots and features. You can also view this information at Zack's entry here ! The bar special. 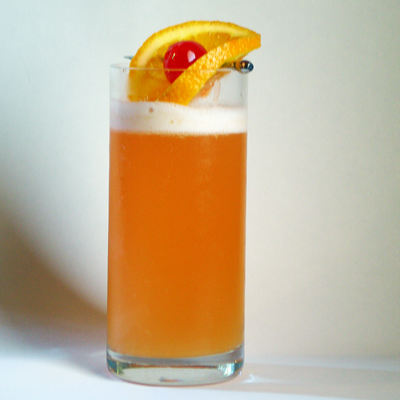 Orange juice, grenadine, tropical fruit juices, rum, and crushed ice, topped with ginger ale and a fruit boat to garnish. Southern Comfort, lemon soda, a dash of lime juice, with a slice of lime. Dragonfruit rum, lychee liqueur, tropical fruit liqueur. Tomato juice, vodka, habanero sauce, lemon and lime juice, salt, and... too many dashes of tabasco. Handle with care. 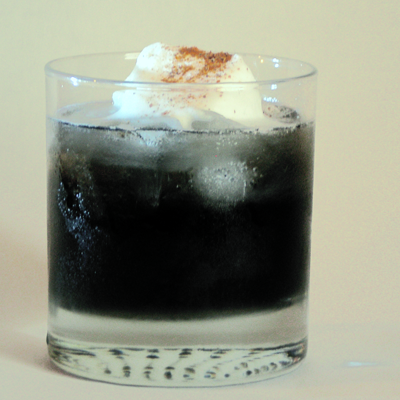 Brandy, creme de violette, ginger liqueur, and homemade whipped cream with a sprinkle of nutmeg. 3 oz dark rum, 1/2 oz ginger liqueur, 3 dashes angostura bitters, served on the rocks garnished with a lemon twist and a piece of candied ginger. 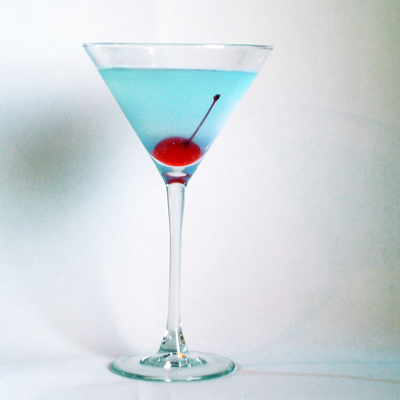 This drink is unspeakably strong, yet smooth with a fierce afterburn. It gets sweeter as you drink it. ~1/2 oz of midori with champagne poured in. Muddled mint leaves in a few drops of simple syrup at the bottom of the glass, add a dash of ginger liqueur with squeeze of lemon juice, topped off with nigorizake. The rim is coated in candied ginger. 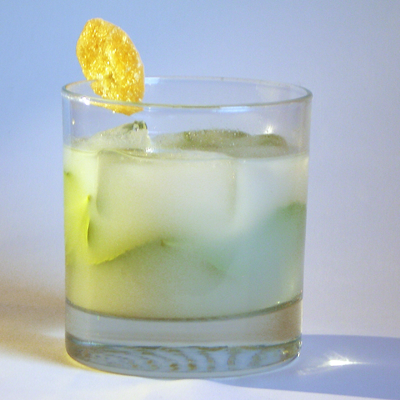 For those who are too chicken to try the real stuff, here's an alternative: Midori, coconut rum, absinthe, and club soda. It'll quench ya. 3 parts gin, 1 part creme de violette, 2 dashes aromatic bitters over the top. 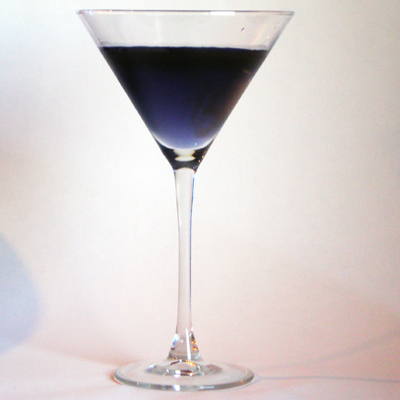 From top to bottom is cointreau, chocolate cream liqueur, creme de violette, and grenadine at the core. 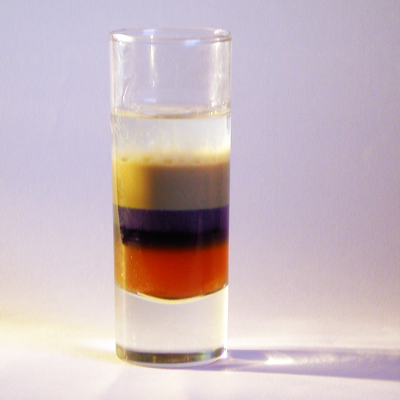 A shot meant to be downed in one go, as it will curdle otherwise. 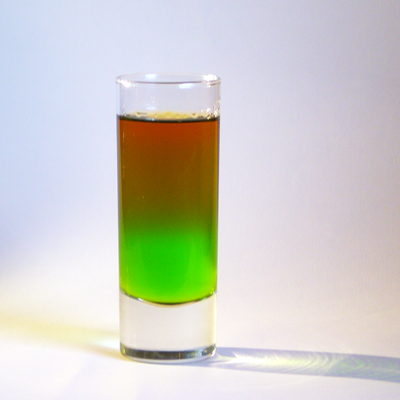 A shot of Midori topped with brandy. Tastes vaguely of apple Jolly Rancher. 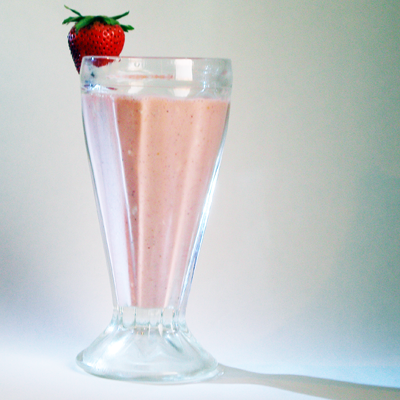 Kiwi, watermelon, strawberries, cream, syrup, dark rum, dragonberry rum, blended with ice. The least alcoholic of the set. 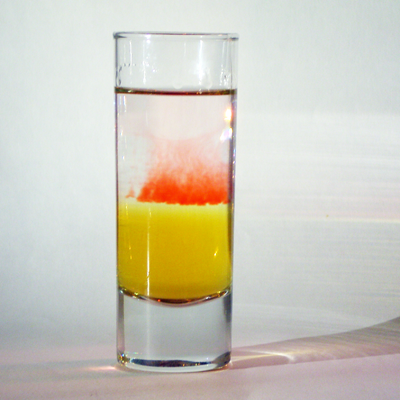 Half olive brine and half pepper infused vodka, with several dashes of peychaud's bitters to create the flame effect. 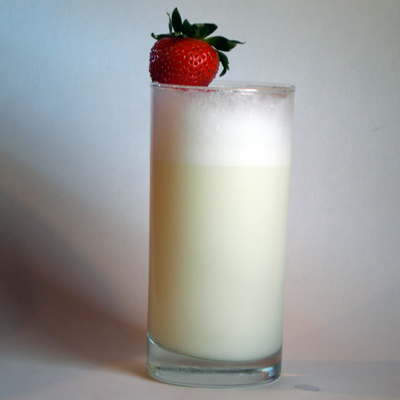 2 oz gin, 1 egg white, 1 tbsp ultrafine sugar, 1/2 oz lemon juice, 1/2 oz lime juice, 1 1/2 oz cream, 1/4 lychee liqueur; shake vigorously for 1 min with no ice, 3 min with, pour into a chilled glass with 1-2 oz soda water. 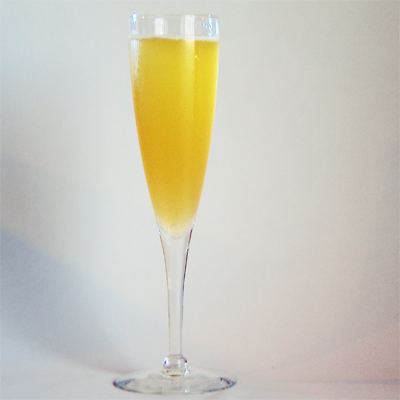 Orange juice, pineapple juice, coconut milk, rum, and a splash of club soda. Softly spicy and deceptively sweet on the nose, delicately bittersweet on the palate.